You know we enjoy playing video games, and we’ve covered news for some mobile games in the past. Mobile games are a strange animal, and honestly I’m still undecided on my feelings about them and how they are impacting gaming in general. However, there have been a few mobile games that I have really enjoyed. When Disney Heroes: Battle Mode was first released I was excited to give the game a try. I knew a few people who were playing it and they also seemed excited about the game. I played pretty consistently for a few weeks, but then the game lost it’s luster for me and other games took it’s place. I can’t tell you what kept me from enjoying the play, but I just kind of forgot about it for a while. But now, there is something Dangerous in the game that may pull me back in. Disney Heroes: Battle Mode is a RPG style battle game. The game was developed by PerBlue and is available on iOS and Android. It is almost a year old, and has had some great updates. The game includes 30+ Disney characters from various franchises. You can take on campaign storylines, missions, arena fights, and there are even guilds that allow you to partner with friends (who are on your server!) to take on other challenges. The story for the mobile game is that it is… well… a game that has been corrupted and turning friends, family, and other characters into villains to fight. Your characters are trying to save everyone from this virus. In the game you can play as characters from the Incredibles, Wreck-It Ralph, Toys Story, and many other Disney franchises. As of today, you can also play as Darkwing Duck! 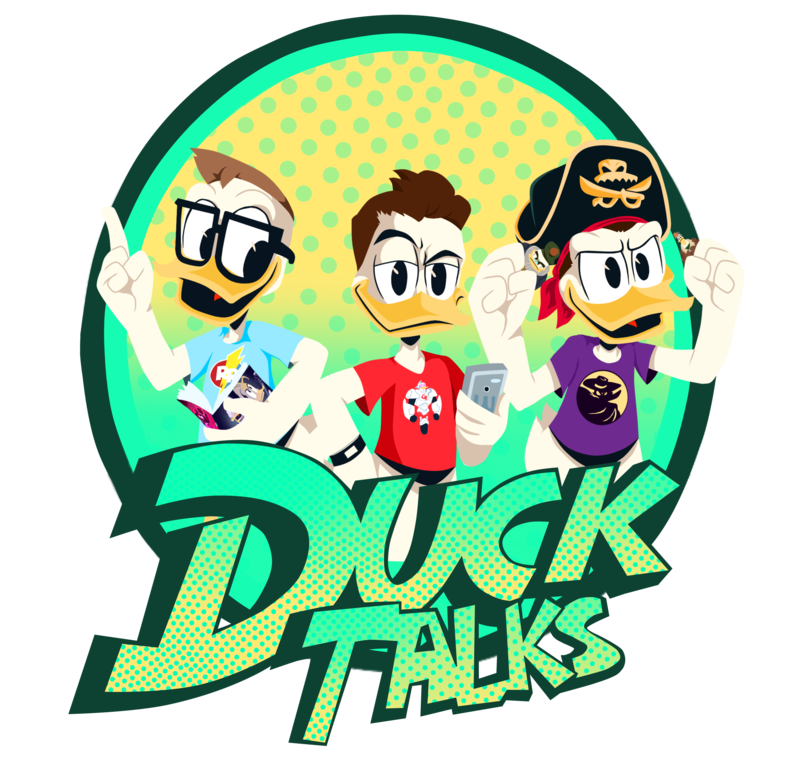 You knew there had to be something Disney Duck related for us to blog about it, right? We’ve been anticipating the introduction of the character since we first got wind of his addition from followers on Twitter. The patch notes detail the new character and his abilities. He is described as a front-line Damage hero, and he will be available in Diamond Crates (These are earned every few hours and can also be purchased using Diamonds earned by playing the game). His skills include his gas gun (labeled “Gatling Fun”), “Shadow Stalker” which allows you to avoid damage, “Knockout” a stun attack that deals damage, and “Shadow Speed” DW’s attack speed increases every time he goes invisible. Check out the games patch notes HERE! I of course have returned to playing the game, but I have not unlocked DW yet. I look forward to adding him (and leveling him) to my team. One of my favorite mobile games was recently cancelled, so I should have more time to participate. We decided to start a Guild. We are located on Server 2 and the Guild is titled “DuckTalks” (Surprise!). If you have already began playing you can check your server by selecting your avatar on the bottom left and selecting the sub menu Account. If you are on Server 2 you can search for us and join at level 15. If you are not on Server 2 you have two options. If you’ve just downloaded the game you can choose to create a new account and select the server you will play on. If you have been playing a while and do not want to give up your progress you will need to look for other guilds to join. Outside of the guild we will continue to talk about our progress in the game on Twitter and maybe on future episodes of the podcast. Previous Diamond Select Kingdom Hearts Merch 50% Off! Next IDW’s DuckTales #17 Preview and Review! Considering he’s my favorite all-time cartoon character, I’ll be giving it a try – I’ll join the guild once I hit level 15! Awesome! I haven’t earned him yet. Unfortunately earning him is kind of random, for now. But the game offers a lot to do. As of this morning our guild is 5 strong! We look forward to including you.